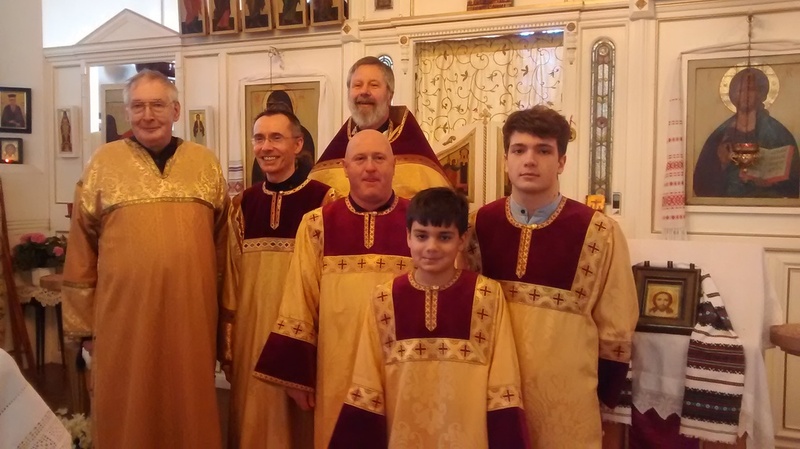 We are a parish of the Russian Orthodox Church Outside Russia (ROCOR) in the Diocese of Great Britain and Ireland (ROCOR), striving to live the Orthodox Faith. We are a small but growing community from various backgrounds, with people from The Russian Federation, The Baltic States, Romania, Serbia and the USA with some converts to Orthodoxy and others exploring the Faith. At the last count we had 16 nationalities. We use the Julian Calendar and our services are mainly in English with some Church Slavonic. We are a traditional parish and very welcoming. If you are Orthodox already and looking for a parish, we are a lovely community to join. If you are interested in the Orthodox faith you are most welcome to visit us. Please note that we do not use the little chapel in Father Paul's house for Sunday services. 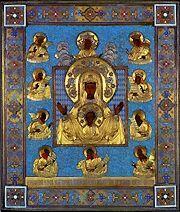 St Elisabeth's will be hosting the Holy Kursk Root Icon from Sunday 14th April through to Wednesday 17th April. It will be present in Church for the Divine Liturgy on Sunday 14th April, for a Moleben and Akathist on Tuesday 16th April at 7.00 p.m. and again on Wednesday 17th April for the Presanctified Liturgy at 6.00 p.m.
Further details will appear shortly. During the days of Monday 15th to Wednesday 17th April it will be visiting the homes of parishioners. The Divine Liturgy is served every Sunday at 10.00 a.m. Please try to arrive early if you wish to make your confession. Fr Paul is next in Belfast on Friday 5th April to Saturday 6th April. The Feast of the Annunciation is on Sunday 7th April. Details of the schedule for the visit of the Kursk Root Icon are above. 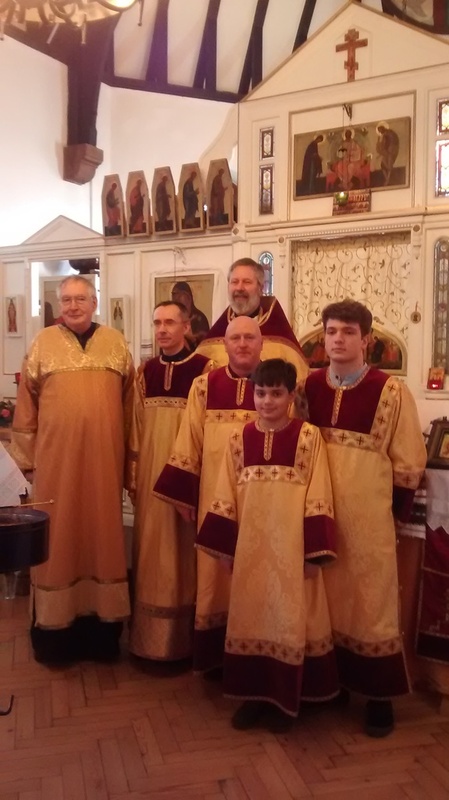 The next Presanctified Liturgies will be served on Wednesday 3rd April, Wednesday 10th April and Wednesday 17th April at 6:00 p.m. Details of Holy Week services will appear here shortly. His Grace, Bishop Irenei is scheduled to visit the Parish on Thomas Sunday 5th May. Children are welcome at the Divine Liturgy. If they need a bit of "time out" there is a place for them in the side porch where mums or dads can sit with them with some toys and books and they can still see what is happening in the Liturgy. This Parish supports the Fund for Assistance. Please consider this in your giving. Thank you for all your generosity. May God bless you! Fr Paul is retired from his secular work and can now serve a few more weekday services. Fr Paul hopes to serve the Anointing Service on Tuesday 5th February at 6.30 p.m. There will be a Moleben of intercession before the relics of St Elisabeth, St Barbara and St John of Shanghai served on some Wednesdays at 6.00 p.m. These services may be subject to change due to Fr Paul's commitments. It is best to text Fr Paul on 07926194031 to check if it is going ahead. Great Vespers on Thursday 14th February for the Feast of The Meeting is unfortunately cancelled as Fr Paul is double booked. He apologises for this oversight. 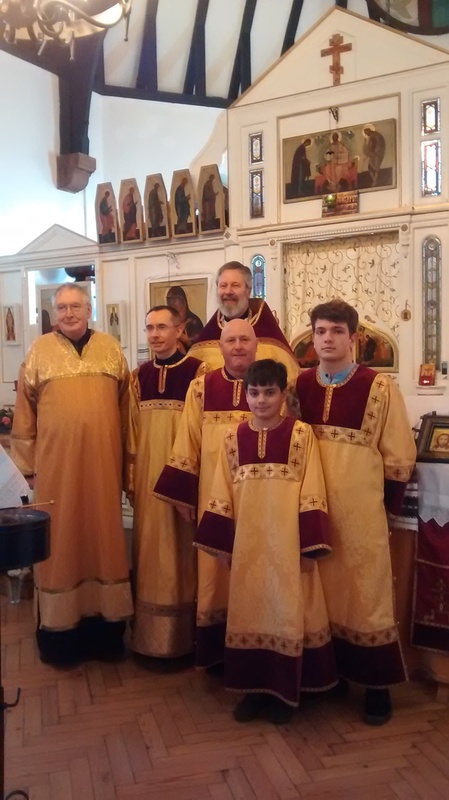 The next weekday Liturgy will be served on Friday 15th February for the Feast of the Meeting 9.00 a.m.
Church Singing is a very important work in any Russian Orthodox Parish. Matushka Elizabeth is the choir director and works hard to enable the choir to sing as beautifully as possible. We are blessed with some very good singers and the choir does a wonderful job creating the right prayerful atmosphere for the Holy Liturgy. We still lack alto voices though. If you feel you are able to sing alto, please speak to Matushka. Since the earliest times young men served in the altar. This is important work as it enables the Bishop or Priest to concentrate on the prayers. The traditional vesture for a server is the Stichar, which was originally a decorated garment which covered the toga in the Eastern Roman Empire. 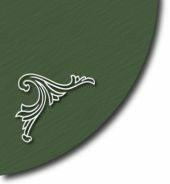 The vesture assists the server to step into the role and stay focused upon spiritual work. We have a number of servers at St Elisabeth's who greatly add to the solemnity of the service and therefore the sense of holiness. Some new vestments have just been made for them at the Convent of St Elisabeth, in Minsk. Some of the funding for this has come from Lena Miloshovich in memory of her mother Dushanka. Father Paul is very grateful for those who assist him in the altar. If you are interested in serving in the altar, please talk to Reader Chad. Getting married in St Elisabeth's can be arranged. Normally, the couple must be married in the Registery Office first unless the Registrar is present. The couple should both be baptised and free to marry. 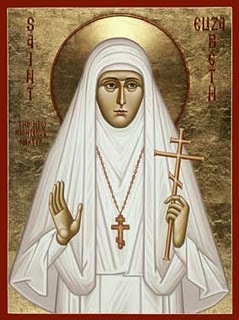 The chief bridesmaid and the best man should be of the Orthodox faith. Couples should normally ask Fr Paul to seek a blessing from Bishop Irenei before the wedding is arranged especially if either the bride or the groom are not of the Orthodox Faith. A blessing can be granted, though any children of the marriage must be brought up Orthodox. Weddings take place normally at 13:00 on a Sunday and only then outside the church fasts.